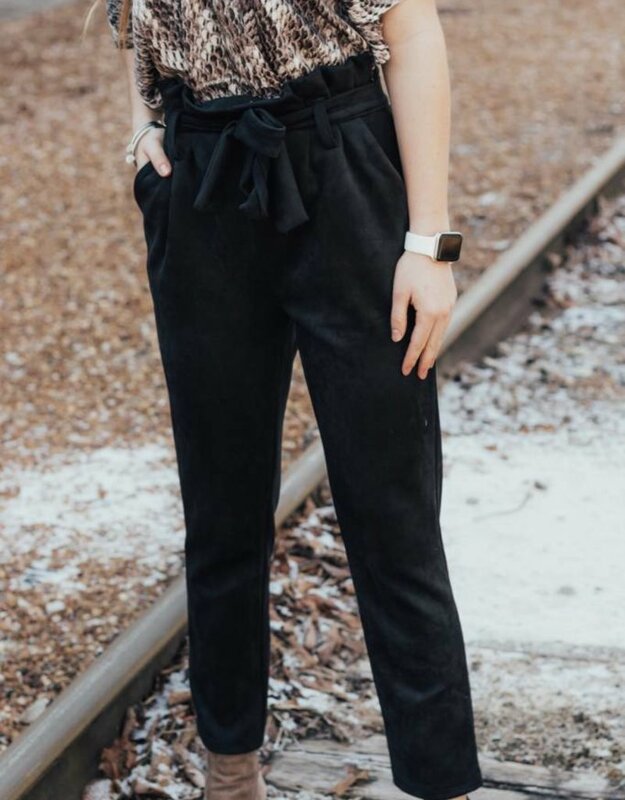 This beautiful suede black pant is made for winter adventures! We are in love with the delicate suede material - it's so perfect for the new season! The material is so lightweight and cozy, plus we love the trendy paperbag pant detail! 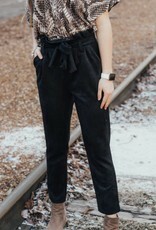 It's so easy to style this versatile look for any occasion! Literally like wearing PJ pants! They are so comfy and so warm!